GN Nutrition Creatine is for serious bodybuilders. 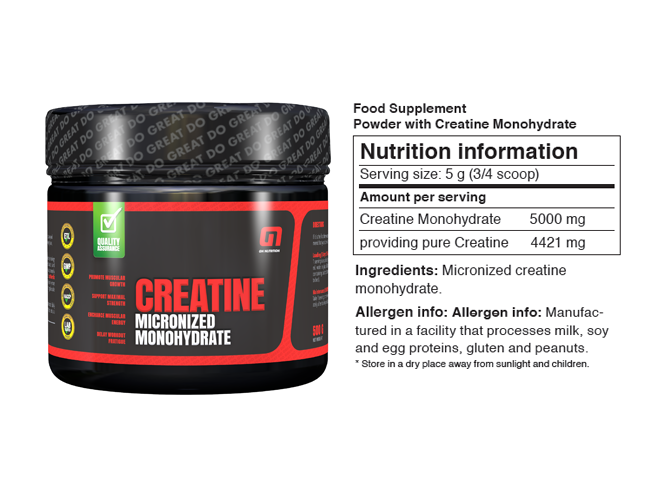 Try this high quality, well priced creatine today and watch your muscles grow and strength increase! All your needs to increase performance and build muscle with awesome swag! 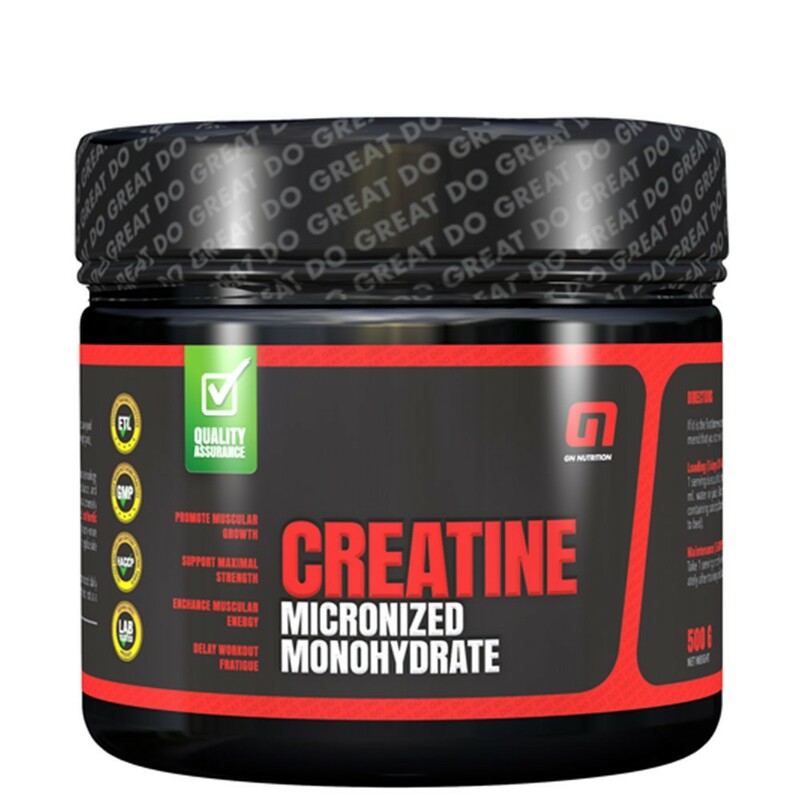 A pure creatine micronised monohydrate product, GN Nutrition Creatine increases muscle size, strength, and sports performance, leading to better overall health and wellness. How? By increasing the total muscle creatine pool comprised of free creatine as well as creatine phosphate. GN Nutrition Creatine- Well priced and a good value! If it is the first time you are using GN Nutrition Creatine we recommend that you start with a loading phase followed by a maintenance phase. Loading- (5 days 20 GRAM S PER DAY ) 1 serving is equal to 5 grams (one teaspoon). Mix 1 serving with 300-400ml. water or juice. Take one serving 4 times a day shortly before meals containing carbohydrates (morning, afternoon, evening and before going to bed). Maintenance (5 GRAMS PER DAY ): Take 1 serving shortly before a meal containing carbohydrates OR immediately after training with your post workout protein shake.